Games for Windows Live was an attempt to bring a console-like interface to PCs in a wayward, misguided attempt to unify the systems. It was nothing short of a disaster; a hobbled and broken layer of DRM that failed to understand and cater to PC gamers wants and needs. By those who even remember it, it’s looked upon with the same sort of derision as other systems like Ubisoft’s uPlay and EA’s Origin. Microsoft is bringing Xbox Live to Windows PC’s again in Windows 10. And it’s trying to not make the same mistakes. Microsoft will be one of the key players at the inaugural PC gaming E3 conference, and they want to assure PC gamers that this time…this time, admit, they have PC gamers’ interests at heart. 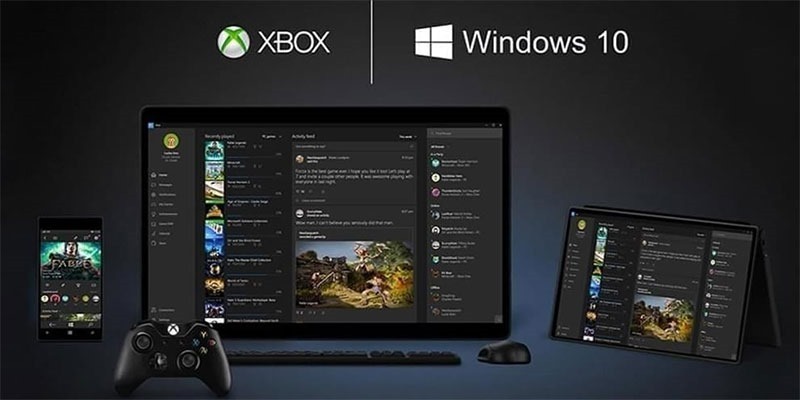 “This time around, though, things will be different because the Xbox and Windows gaming sides are tied together “as one connected ecosystem,” Microsoft’s Xbox head Phil Spencer said in an interview with PC Gamer. Xbox One games are more likely to be ported to PC, though the company will also invest in PC-specific games. (Please, Age of Empires. Please). That said, the platforms are certainly converging a little. And honestly? I hope it works out. I like Spencer’s general direction (I think he’s helped turn the Xbox One’s image around quite nicely) and think this could actually be a boon for PC gaming. He’s also realistic about it all – realising that it won’t ever really compete with Steam. Besides, anything’s better than Games for Windows Live.